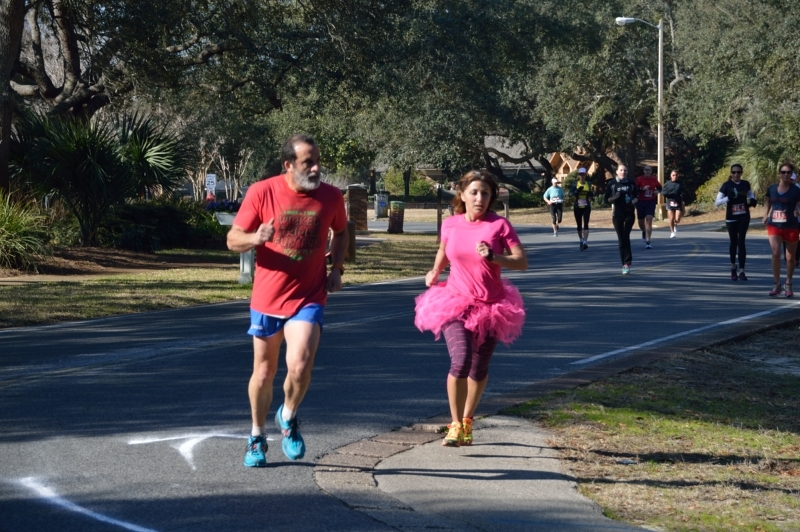 The Northwest Florida Track Club presents The 23rd Annual Valentine’s 8K “Kiss ‘Em To The Finish” Road Race Saturday February 6, 2016 at 9:00 A.M.
Race is located at The Track Recreation Center in Destin, Florida. The flat, fast 8K course starts adjacent to The Track parking lot, on Airport Rd., through Indian Bayou, returns and finishes at The Track. Water stations are located about the 2 and 3 mile points, with each mile marked. POST RACE PARTY AND AWARDS CEREMONY: Hosted by “The Back Porch” following the race with food and beverages for race participants. Long sleeve t-shirts to the first 200 entrants. Early registration improves chance of getting the correct size.